Your publication is unique. We know how to implement it in the best way possible for the online world. Our experts are well-versed in e-publishing, and this experience will give your publications more success in online marketing. Or, if you wish to create your own publications, you can choose our selfservice option, which lets you create high-end and engaging digital publications on your own! 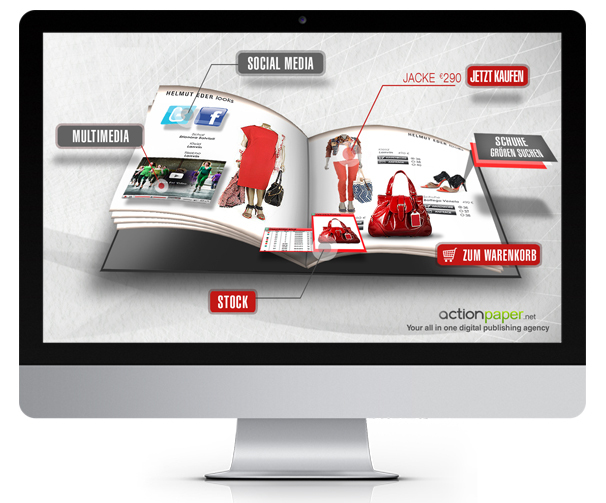 It`s easy – the digital publications are easy for you to create and easy for your audience to access, read and enjoy them. It`s multi-device – your publications will be available on all devices (iPad, iPhone & Android). No additional costs and no programming needed from your side. It`s engaging and interactive – videos, forms, links, sounds, interactive bookmarks, interactive covers, pages and even small online games and quizzes – everything is possible. It saves money – once you start publishing digital you can also start “cutting down” your printing costs. When you reach the desired audience online, you can quit print for good. It helps and improves your online marketing and sales activities. You can promote and sell (via PayPal) products and services inside your digital publications. With the help of interactivity you can highlight the most relevant offers, coupons, discounts or any other offer you want to promote. No installation and no credit card required. Hundreds of ways to engage your audience. Get your free trial account, publish your hight-end multimedia publication at no cost, and have it available for three weeks! Create unlimited publications every month or publish a single edition to reach customers and audience on all devices! 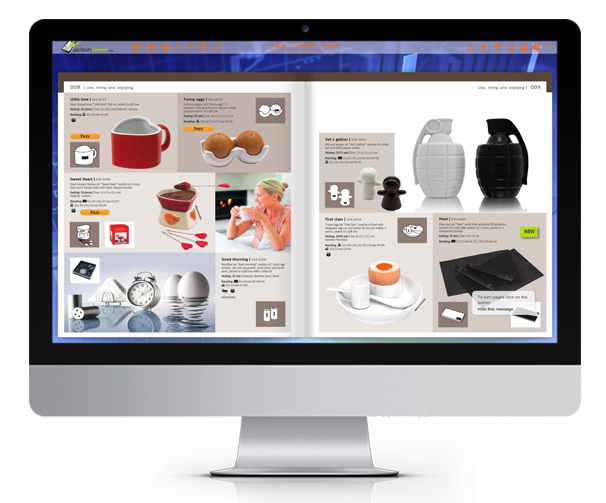 Basic catalogs: is a catalog with the basic features and works only on desktops, costs € 98 Euro (regardless of the number of pages). Basic catalog + html5 Version: also has an optimized version which also works on the mobile devices (smartphones, tablets), costs € 196 Euro (regardless of the number of pages). Multimedia catalog: is a catalog with animations, videos, shopping cart function, logo studio function, etc. The price depends on what exactly is desired.